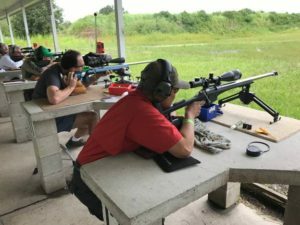 The news around Manatee Gun Club is we are now offering a greater benchrest shooting experience for both members and non-members. Thanks to the hard work of our club officers, staff and shooting volunteers, the new benchrest range is now open to our shooters. For those unfamiliar with that range, it’s located past the office on the way to Area 51 along the west side of our main range. This benchrest range used to be for 100 and 200 yard competition but has now been upgraded to a full 600 yard range with 16 covered benches like those on our main range. Next time you visit, ride back and take a look. 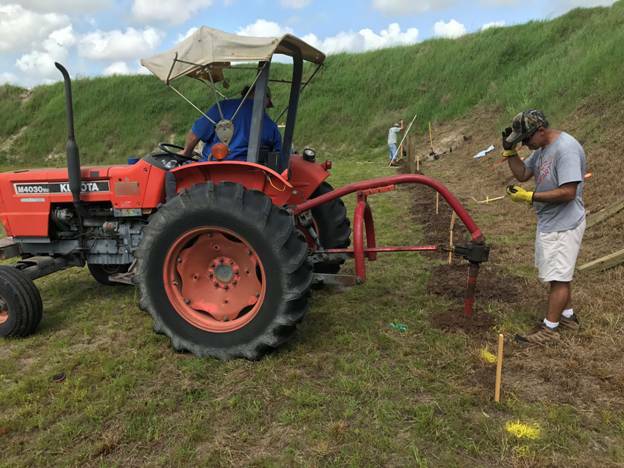 What is great about this range is we can now hold benchrest events with certified Range Safety Officers overseeing the operations without disrupting the main range. 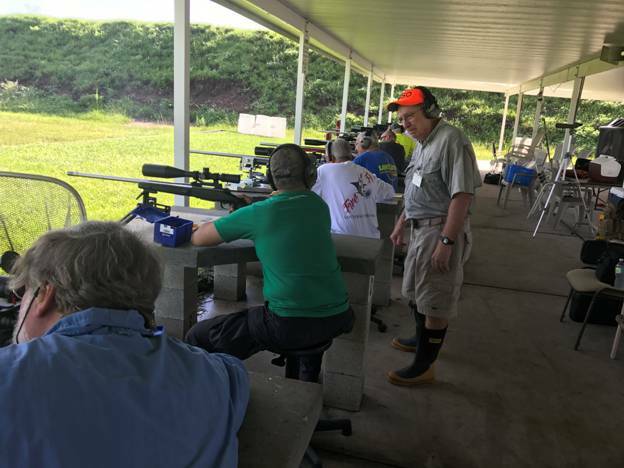 They get more space over there and benchrest shooters gain a beautiful venue for long-range precision shooting. It’s a win-win for all Manatee shooters. See the calendar page and separate discipline pages under the “Activities” tab for schedule details. We built eight swinging gong set-ups for our use only. No more 50 cal. destruction and we can actually leave them up all the time for practice opportunities. Some are larger 8” diameter gongs for AR shooters that would like to compete against other rifles with that format. AR shooters can now use those 223’s, 6.5’s, 308’s or whatever against others doing the same in fun gong competition. The precision benchrest rifle gongs are 5” at 600 yards. At the same time those wanting to try out their tactical and benchrest rifles, actually anything you would like to try no more than 30 cal, are welcome. You think your tactical gun can shoot against the benchrest rifles? Sure it can! Come out and see how well it does work. …one for each bench at 602 yards. Note that the gongs are placed behind at the bank to minimize any ricochets getting off the range. The gongs are at 625 yards. 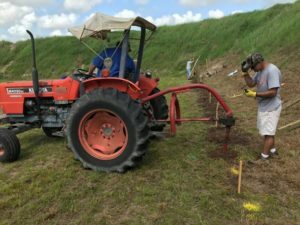 Paper target supports are done with wood inserted into flush metal frames in the ground. There’s minimal chance of ricochet with easy set-up and removal. Of course, your help is appreciated. During gong matches you are asked to make a small donation, currently just $7. That allows us to pay for materials, updates, maintenance and give back to the winning shooters most if not all of it as prizes. During the paper matches we do the same but have to add just $3 more to help pay for targets and other equipment we need to provide you the shooting opportunity. The rest goes back to YOU, the shooter who just might win or place high into a payoff. It’s fun first, education and experience always for our shooters. From the most advanced to basic hunting, AR and tactical rifles, there’s a benchrest opportunity for those interested. It costs little more than a club range fee, and you get the opportunity to be around some of the finest shooters in the area and even some nationally-ranked shooters. 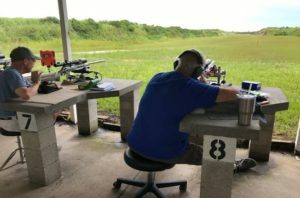 Check out the benchrest shooting opportunities at Manatee’s 300, 600 yard gong and paper shoots on the newly-remodeled rear benchrest range. The Calendar has dates for out matches, and again, more detail is available under the “Activities” tab. Starting this Fall or early Winter we plan on scheduling some IBS sanctioned 600 matches. Light gun, heavy gun, any gun … we should have something for you. What is important is you. Stop by one or all of the events each month and see what might be there. YOU are why we do it.